Not ready to book, but need help with your cat? STEP ONE: Schedule Your Phone or Video Skype Consultation with Mieshelle Nagelschneider. Important Update: We are currently scheduling April 26th through May 30th. • Choose and pay for your consultation program. After payment, you will be taken to Step 2 and 3 for scheduling and access to the Feline Behavior Questionnaire. You can also call the clinic to pay with credit card and schedule over the phone at 1-503-267-8888 You are guaranteed an appointment email within 24 – 48 hours (excluding weekends). If you’re somewhat flexible we can typically schedule you within the week. Our office scheduling hours are 9:00 a.m. to 6:00 p.m. Pacific time Monday to Friday, but consultations are also conducted on Saturday and Sunday. Most of our clients schedule their remote consultations with Mieshelle. Dr. Shultz conducts consultations in-person locally. • Important: If paying by Paypal below, be sure to click on “back to website” link on your last Paypal payment page. You will then be taken to Step 2 (scheduling) and Step 3 (Feline Behavior History Questionnaire). 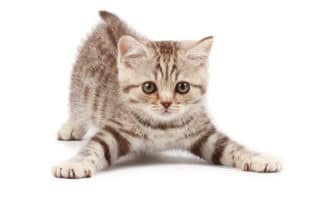 Four-hour phone or video Skype Comprehensive Feline Behavior Wellness Consultation Program suitable for urine spray-marking, all aggression issues, fearful behavior, excessive vocalization, compulsive PICA, or overgrooming issues. A flexible plan allowing you to use up to four hours of consult time over 8 weeks for ongoing analysis, or further recommendations for progressive behavior plans. During the consultation process you will receive an in depth behavior analysis and an all-encompassing behavior plan with behavior strategies for your single cat or multi-cat household based on the most recent cat behavior research studies (this includes learning and memory, feline evolutionary biology, and gene encoded “innate” behavior). Mieshelle may recommend dividing your 4 hours into up to 5 consultations depending on the complexity of the issue. Also included in every consultation is a dietary analysis and recommendations based on Dr. Elizabeth Hodgkin’s philosophy of the quintessential Atkins species. Note: If you do not currently have a behavior issue with your cat or cats, you can still schedule a one or two-hour consultation with Mieshelle to ask cat behavior related questions or to seek advice to help prevent cat behavior issues from forming. In-person consultations are conducted by Veterinarian Dr. Shultz, and are accepted on a case-by-case basis and rates determined by travel time and nature of behavior issue. • Have pet health insurance? Your consultation may be covered under behavior services with your cat’s insurance plan. We believe the most certain cat behavior advice is based on your cat’s feline evolutionary biology. By scheduling a phone or video consultation with Certified Cat Behaviorist Mieshelle Nagelschneider, you will not only help solve your cat’s behavior issues, but also help cats everywhere because you can take part in our behavior studies. We go beyond the obvious facts about cat behavior and offer intelligent solutions to solve your cat’s behavior issues. See over 268 phone consultation client rave reviews from clients. Every behavior plan is based on the latest cat behavior research that has given thousands of cat owners results — and responsible for them finally experiencing a totally different, and most importantly, happier, healthier cat. Not ready? We understand. Unfortunately, Mieshelle is not able to answer any questions about cat behavior without a consultation. And we’re very sorry about that. Sadly, there is no such thing as a “quick question.” Cat behavior is nearly as complicated as human behavior, with as many interdependent variables, and it’s even more mysterious, to a human. Our phone behavioral consulting is pretty simple: Cat owners choose and pay for their consultation, we schedule and hold the consultation(s), you follow the behavior plan for approx. 4 – 8 weeks, and then we declare victory — whether it’s total or partial depends almost entirely on how scrupulously the humans follow our advice (Most effective change is not required of the cat so much as the human). If additional changes to the behavior plan need to be made along the way to adjust to your cat’s response, you can use your remaining appointment time within your 4 or 8 week allotted time. Clinic Scheduling and Cancellation Policy: Cancellation, refund, or reschedule policy is a MINIMUM of 48 hours notice required. No refunds for unused “leftover” consultation time and all allotted appointment time must be used in either the 4 or 8 week initial program. You must complete the behavior history questionnaire prior to your appointment time in order to have a one or two-hour consultation unless the behaviorist waives this requirement.